Over the years, we have created many ways for you to interface with us... Copeland Desktop, Copeland Online, Copeland Mobile Desktop (retired compact framework app for old Windows phones), and copelanddata.mobi for mobile devices. 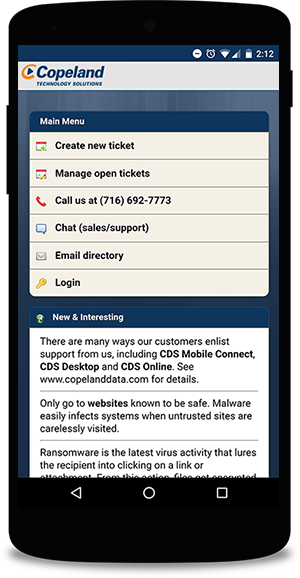 Copeland Mobile Connect is our native app for iOS (iPhone, iPad, iPod Touch) and Android. 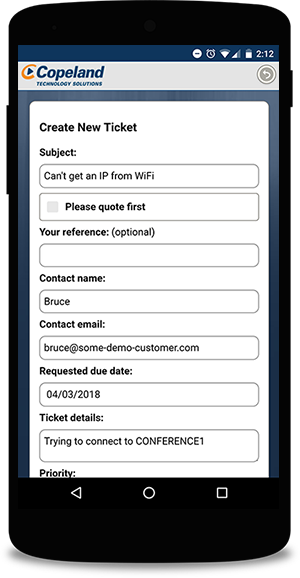 With Copeland Mobile Connect, customers can add new support requests, modify existing requests (dates, priorities), call us, chat with us, or email anyone on our team directly through the integrated email directory. Please download it and give it a try. 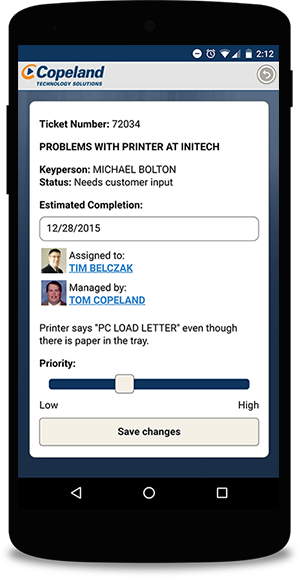 We think you'll find this the easiest way to create new support requests, whether you're at the office or on the go. And if your device translates speech to text, you can simply dictate your request to the app! Download the app from iTunes or Google Play today. The same username and password works on all our systems. If you are not currently set up with a login, please email us and we'll set you up in a jiffy. 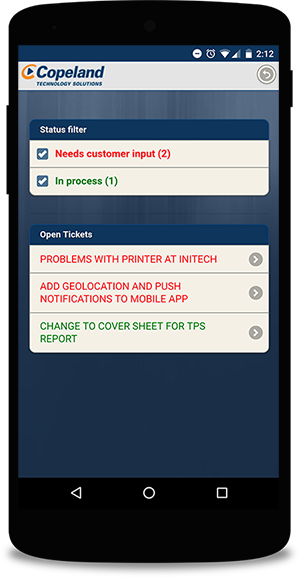 If you would like to know more about mobile app possibilities for your business, please drop us an email.